Christmas is the most glittery and magical time of the year and there is nothing we love more than adorning our homes in one-of-a-kind tree decorations, baubles, fairy lights and quirky decorative accessories that make us smile! This year we have a selection of witty, rock ‘n’ roll and utterly unique Christmas decorations that will help you curate your most stylish and stand-out festive interior. Super quirky, cool and out-of-the-ordinary the Set of 3 Beaded Eyes Hanging Decorations will add unique eclecticism to your Christmas Tree! An eye-catching hanging decorative piece, the three eyes are not just for your Christmas trees! 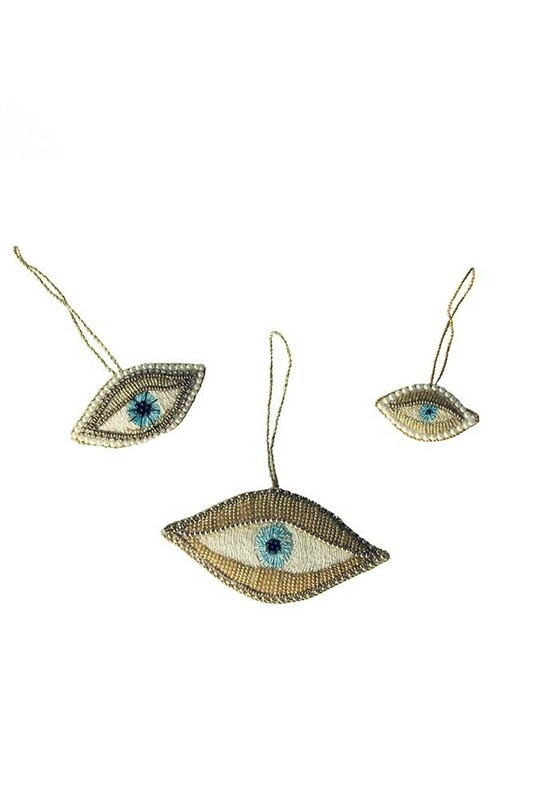 So why not, gift the Set of 3 Beaded Eyes Hanging Decorations to a loved one?! 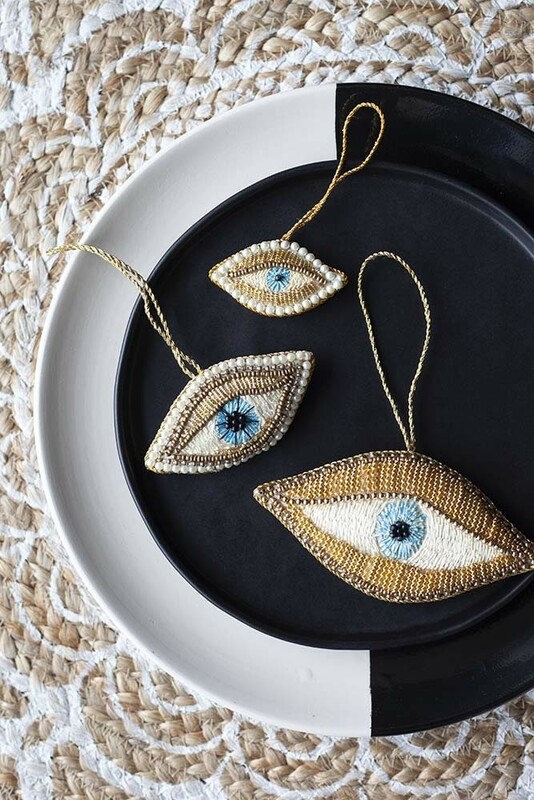 Or alternatively, you could use the Set of 3 Beaded Eyes Hanging Decorations as a quirky personalised place setting for when you are entertaining guests for a Christmas Dinner Party. Even better, we think that the Set of 3 Beaded Eyes Hanging Decorations can be re-purposed year round and so why not style the Set of 3 Beaded Eyes Hanging Decorations on your display board, mirror or window?! A unique Christmas decoration that you will treasure, we wish you a very merry Christmas from all the team at RSG!